Home › Dining out & about › 1001 (or 2013) Arabian Nites! 1001 (or 2013) Arabian Nites! Have come out to the desert in the UAE, a wonderful desert resort.. Amazing place.. Beautiful pool overlooking dunes and wild animals.. 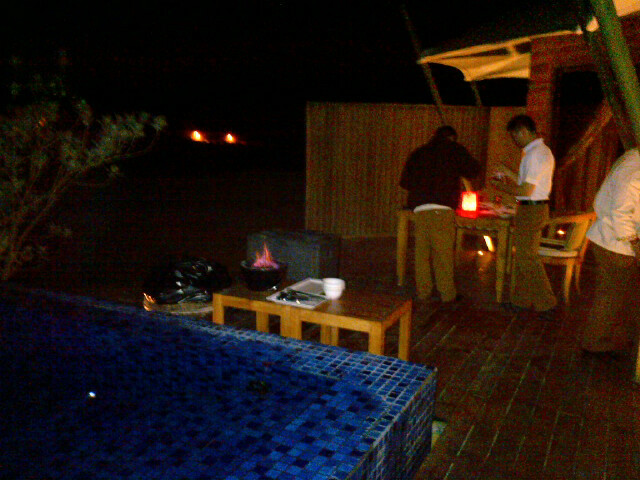 The kitchen and staff are setting up an arabian bbq and feast for me on the terrace.. I of course as the host will be grilling the meats for this feast..